I study the pebbles and dirt in my pan, but I’m not really sure I know what I’m looking for. “I don’t think so,” I call back. Reaching into the bucket, he piles more dirt and rocks into my pan, and then sits down in the creek with me to keep searching. I’m staying at the 1859 Historic National Hotel in the Gold-Rush town of Jamestown, and I’ve jokingly told Tom I want to try to pay for my hotel room with gold. Over 150 years ago, paying for a night’s stay at the hotel with a purse full of gold dust was commonplace. Earlier this year, the hotel’s owner, Stephen Willey, brought back the practice for overnight guests bearing gold flakes and nuggets. He purchased an old-time brass scale with weights and backs it up with the digital model required by county weights and measures, courtesy of Gold Prospecting Adventures across the street. 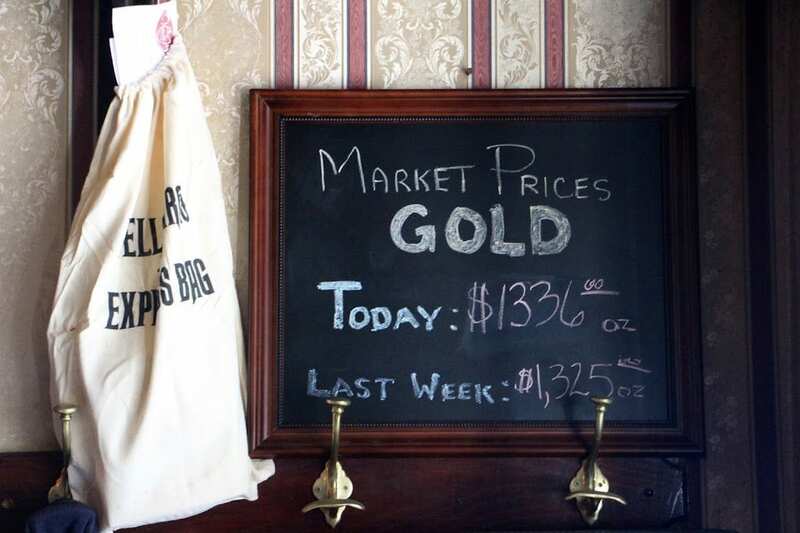 Stephen notes the daily price of gold inside the hotel’s authentic Gold Rush-era saloon, which still features the original back bar from 1859 and a stamped tin ceiling. The night of my stay, gold was valued at $1,336 an ounce. 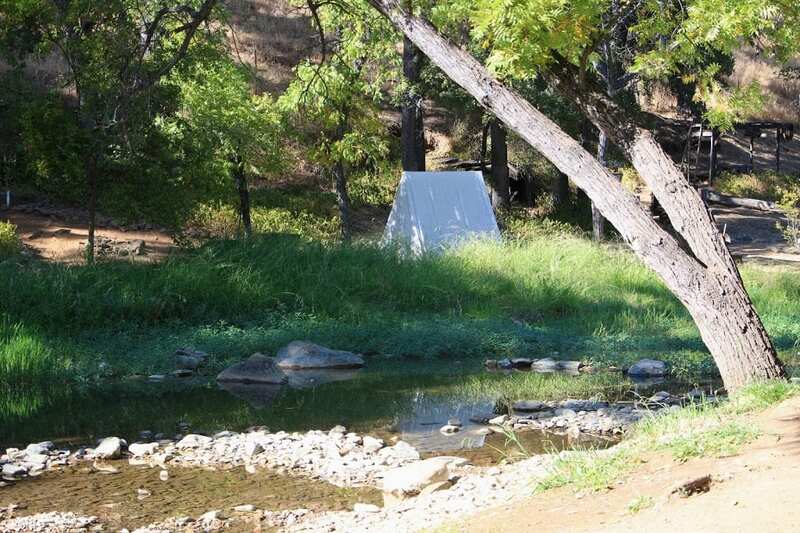 I signed up for a gold panning lesson with Gold Prospecting Adventures, which operates a historic mining camp on one of the richest creeks in the Mother Lode. He points at a tiny speck clinging to the bottom of the pan that gleams in the sun. It’s no bigger than a grain of salt. “That’s gold?” I ask doubtfully, trying to calculate how many salt-sized specks of gold it would take just to pay for a drink at the bar. I spend the rest of the afternoon hanging out in the creek with Tom: soaking up the late summer sunshine, listening to the soothing rush of the water, and occasionally finding more salt-sized specks of gold. Eventually, I return to the hotel with my tiny vial of gold specks, but unfortunately, the hotel’s scales are unable weigh an amount so small. Stephen tells me the gold’s value is probably less than a dollar. I laugh. Fortunately it’s not 1859, and I can still use my American Express gold card. 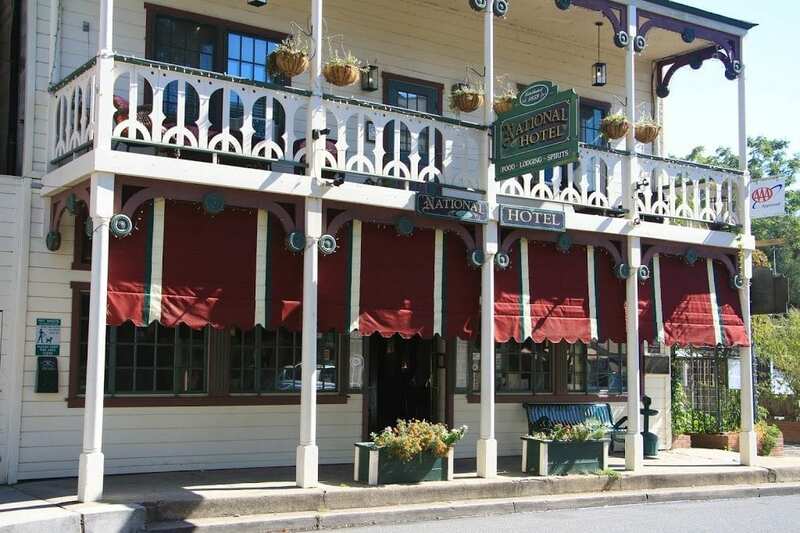 The 1859 Historic National Hotel has been in continuous operation since it was first built, having survived two fires in the early 1900s. Stephen is only the third owner of the hotel, which he purchased with his brother and a friend in 1974. 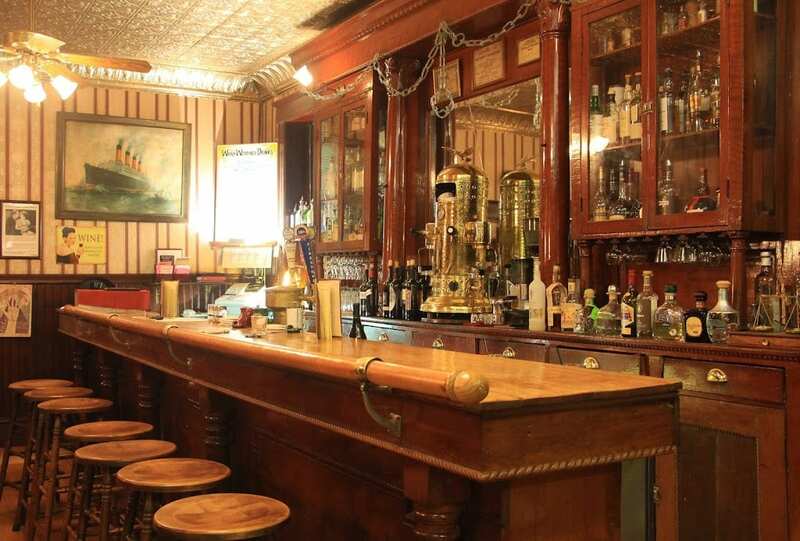 They hotel’s saloon had been a place that he and his brother would stop for drinks on their way back from ski trips and backpacking trips. When his brother learned the hotel was for sale, he convinced Stephen, who was in graduate school in San Francisco at the time, to move to Jamestown and run the hotel for at least six months. The original six-month commitment has turned into a 42-year restoration and modernization project. When they purchased the building in 1974, the aging hotel had 12 rooms and just one bath. Working room-by-room, they tore the hotel down to the studs, upgraded the electrical, plumbing, insulation, and more, added bathrooms, and restored the rooms in keeping with the vintage of the hotel. Upgrades and modernization projects have been ongoing ever since. Instead of the original 12 rooms, the hotel now has nine elegant guest rooms, each with private baths. 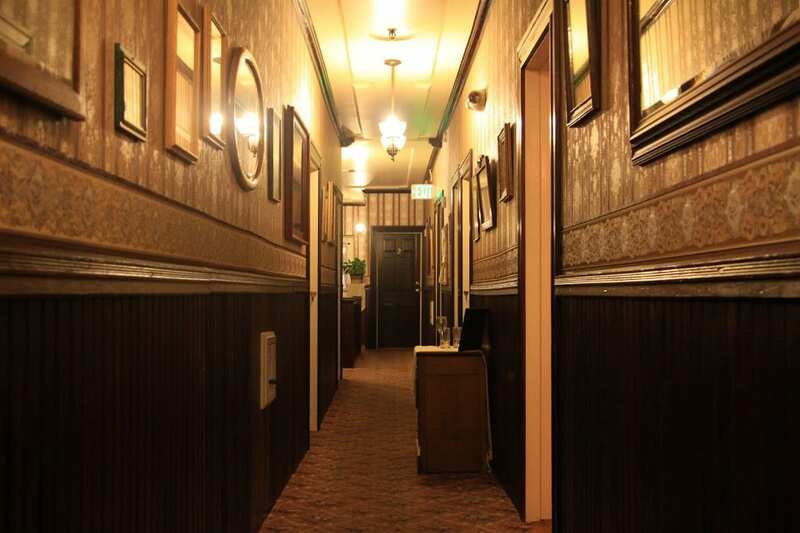 The rooms feature high coved ceilings, dark-stained wood trim, and beautiful period details. The rooms are furnished with fine antiques, opulent wallpapers, and lace curtains befitting of the era. My room, #10, was a quiet, cozy space tucked at the end of the hallway with a queen-size brass bed, pillow-top mattress, and triple-sheeted bedding with a matelassé coverlet. The bath featured a pull-chain toilet, pedestal sink, tiled shower with two shower heads, and plush bathrobes. 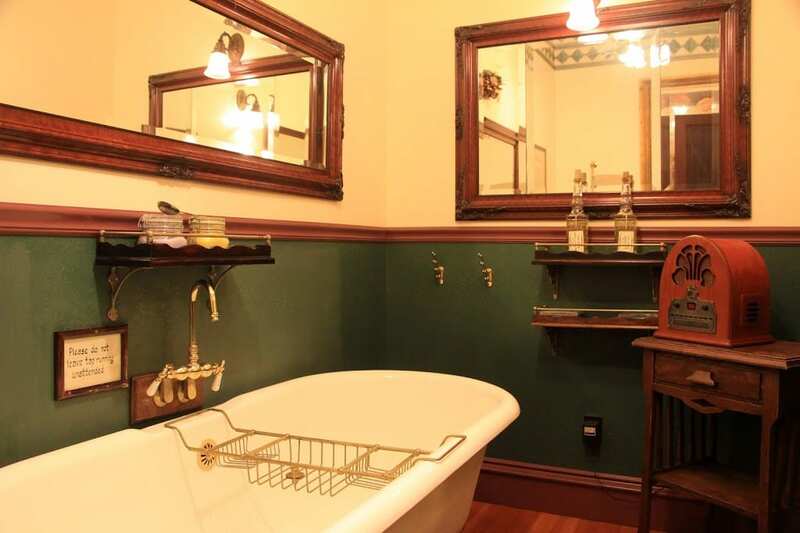 Next door to room #10 is the soaking room: an inviting space with an antique claw-foot soaking tub for two. 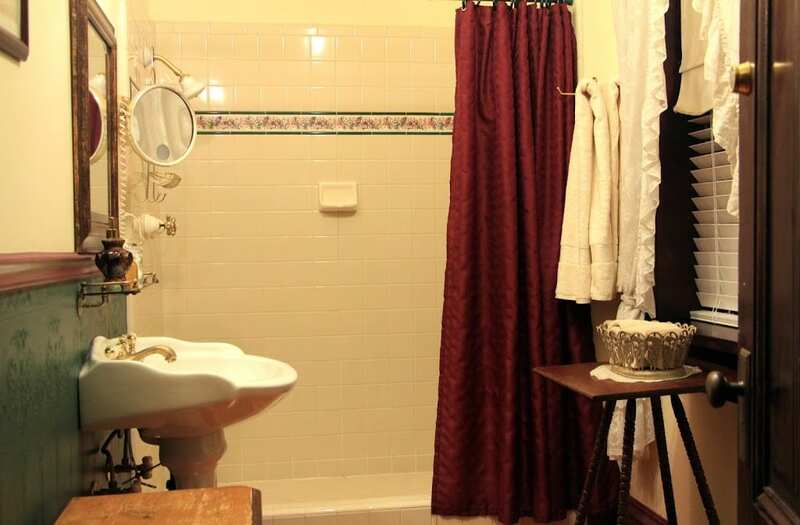 The soaking room is available for use by any guest upon request. 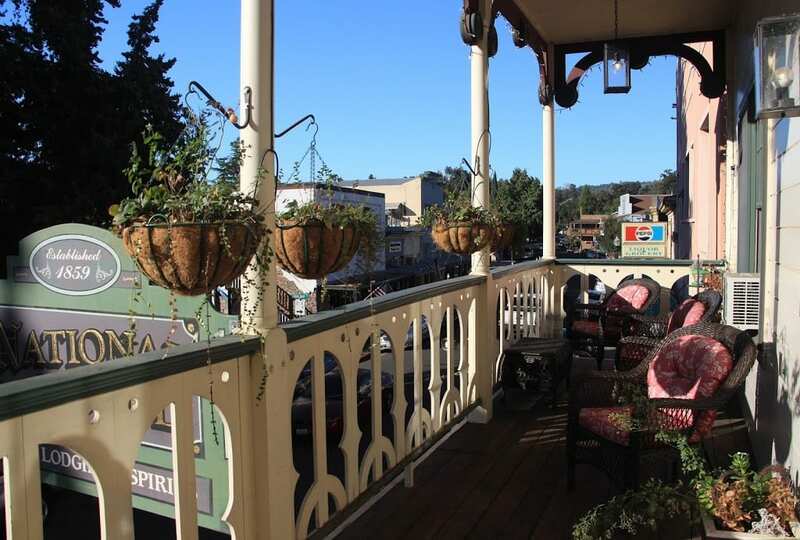 A door at the far end of the hall opens to the balcony overlooking Main Street with comfortable outdoor seating. Downstairs, the hotel’s restaurant and saloon bustled with lively mix of locals and visitors. Stephen and his attentive crew of servers moved fluidly among the tables. The restaurant is led by Executive Chef Tom Callahan, who has been at the helm for 20 years. 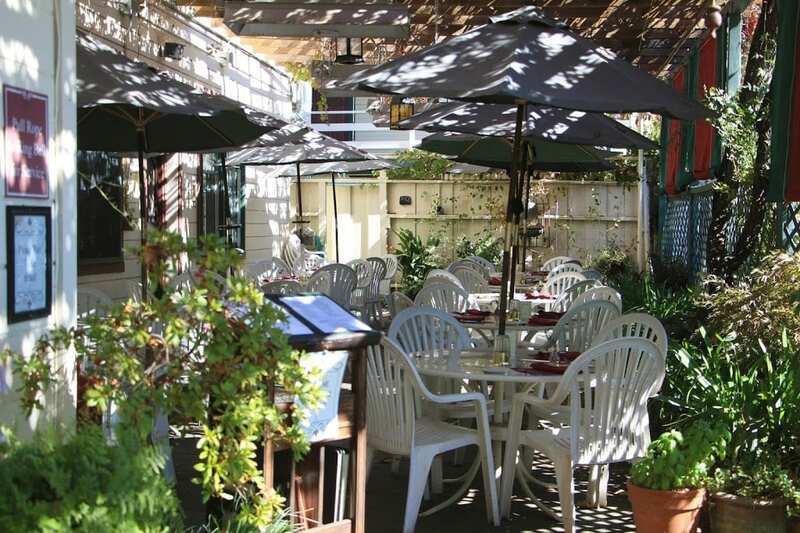 His menus feature Mediterranean cuisine with top-quality ingredients including USDA Choice beef, fresh fish, fresh pastas, house-made breads, local produce, and fresh herbs picked daily from the restaurant’s own herb garden. The restaurant has the largest wine list of Sierra Foothills wines, with more than 100 selections and awards from Wine Spectator. The restaurant serves lunch and dinner daily in its formal dining room, and weather permitting, outdoors on its vine-covered patio. I enjoyed dinner and a glass of wine on the patio beneath the glow of lanterns and twinkle lights. I ordered medallions of filet mignon prepared in a burgundy mushroom sauce. The dish was served with a green salad, sautéed vegetables, fluffy garlic mashed potatoes, and warm house-baked breads. For dessert, I couldn’t resist the temptation of the apricot bon bon: apricots sautéed with butter, brown sugar, and apricot brandy, flambéed tableside, and served over Ghirardelli chocolate-covered bon bons with pecan praline pieces. It was a divine combination. As I finished dessert, Stephen pointed out the back of the garden patio, where a rectangle is cut into the concrete floor. He explained it’s the entrance to an old gold mine shaft, a vestige of the hotel’s earlier days. These days, it’s usually filled with water and Stephen has plans of turning it into a water fountain. The gold mine shaft isn’t the hotel’s only vestige of the late 1800s. The spirit of former guest named Flo has lingered long past her check out time and occasionally creates mischief at the hotel. Many guests have shared accounts of doors slamming, lights going on and off, clothing being dumped from suitcases onto the floor, and a woman’s sobbing coming from the hallway in the middle of the night. Stephen tells me that the most adamant of non-believers have been known to change their convictions about the super-natural after they wake in the middle of the night to find Flo sitting at the foot of their bed. He says Flo just looks at them, not saying anything, and then she stands up and floats right through the door. The background on Flo is sketchy, but it’s believed that she had traveled to Jamestown to marry a young attorney she had met on a train just six weeks before. They arrived in Jamestown a few days before Christmas and were staying at the 1859 Historic National Hotel. She hired a local dressmaker to make her wedding gown; he gave her a diamond ring on Christmas Day. The very next morning, a shot rang out. Flo raced downstairs to find her fiancé lying at the bottom of the stairs in a pool of blood, shot dead by a drunkard who had stumbled through the front door of the hotel. Day after day, she sobbed uncontrollably upstairs in her room, and then on New Year’s Eve, there was silence. The hotel staff found her dead in her room, wearing her wedding gown, presumably having died of a broken heart. I had hoped to meet Flo, but she must have sensed I was a journalist with a camera and long list of questions for her, so she avoided me. At breakfast, however, I learned that she made herself known to the other guests. One couple had lowered the shade for an afternoon nap only to have the shade spring back up as they were lying on the bed. They also described walking through the hallway and feeling an icy cold waft of air pass alongside of them. Another woman said she, too, felt a cold waft of air pass her in the hallway. She also described seeing chains that were strung across the open doorways of unoccupied rooms all swinging although there was no breeze to cause such movement. As I packed to leave after breakfast, I looked around for signs of Flo, but everything was exactly where I had left it.